Welcome to the subtleties of 3D printing. This series of articles will address many of the issues facing those who print with FDM 3D printers and will offer a comprehensive resource to all of their questions. In the 3D printing community as a whole, and even more so on the topic of plastics in particular, there is a huge amount of information available. But in spite of this wealth of information, time and time again beginners and even proffesionals have the same questions when setting up their printer, changing the plastic, nozzle or struggle with planning the size of a printed model. Even seemingly well-developed plans and approaches fail, and to many beginners, it feels as if 3D printing is a kind of witchcraft, shamanism, and there is no hope other than shaking tambourines and delivering patronage to higher powers. And, as paradoxical as it may seem, many of the 3D printing resources you will find are right, in a broad sense at least. Yes, everyone is right! But why the recurring questions, always on the same topics? And how do you explain why there are numerous ways of solving the same problems? With this in mind, the author has taken it upon himself to take the time and responsibility to light the way for everyone. Having traveled this road once, you will gain an understanding, not in the ways to solve different issues, but rather in the methods and principles of finding solutions for non-standard tasks. American psychologist Skinner conducted this experiment. He planted a pigeon in a cage and, through equal intervals of time, poured food into the cage. What did the pigeons do? Surprisingly, they decided that it depended on their behavior whether they get food or not. And they began to do exactly what they were doing just before the appearance of food. For example, if the pigeon hid his head under the wing, and then the food appeared, that pigeon then began constantly hiding his head under its wing – in the hope that there would be food. After that little anecdote, the preface is concluded. Now we will move on to the basics, which, without mastering, it is impossible to understand and assimilate the information contained in this series thoroughly. What are polymers? I struggled for a long time with the temptation to quote an article from Wikipedia, but somehow I didn’t succumb, and throughout this series, I will try, wherever possible and justified, to write in my own words. The distinctive property of a polymer is the size of the molecules from which they consist – macromolecules. In many respects, this determines the material’s mechanical properties. Each polymer molecule consists of a chain of monomer units linked together. The more these links in the molecule, the larger it’s molecular weight. Thus the higher the degree of polymerization. Polymers can be divided into two broad groups: thermoplastics (about which we will talk further later) and thermosetting plastics. I will spare you a science lesson about Van der Waals forces, which unite the molecules of thermoplastics, unlike the chemical bonds found in thermosets. 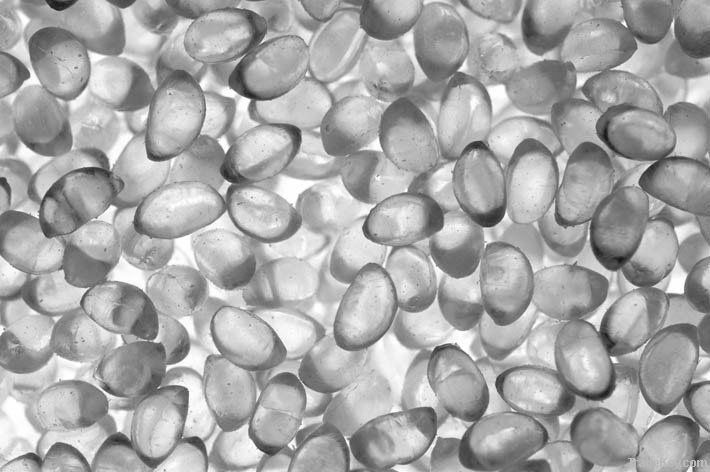 In short, the main difference between the two plastics can be defined as the possibility or impossibility of softening and processing the polymer. All familiar epoxy and polyester resins, for example, belong to the thermoset group. These dissolve or melt, but cannot be reworked. Thermoplastics, on the other hand, are polymers that can repeatedly be processed and molded without significant structural changes and deterioration of their mechanical characteristics. Here it is worth noting that most thermoplastics you would purchase for 3D printing has already been softened and molded, possibly more than once. The manufacturers also most likely added a dye to these plastics to color them. 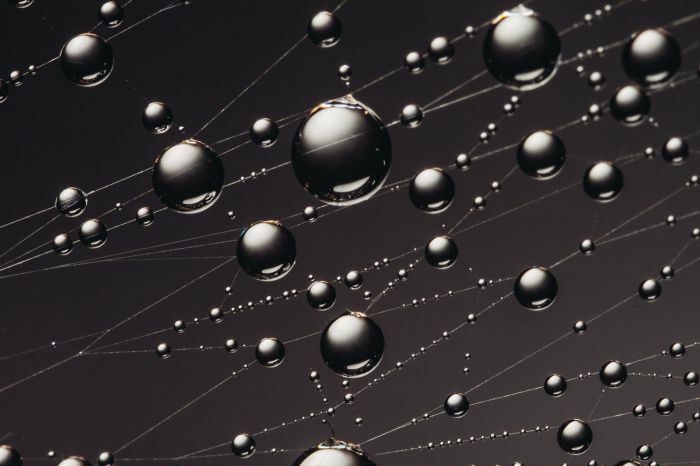 The most important thing that must be learned is that the molecular mass (from now on MM) of the polymer has a significant, and in many ways, determining the value of the material’s fluidity, impact resistance and overall strength of the final product. Homopolymers include a homopolymer of styrene-polystyrene (PS) or a homopolymer of propylene-polypropylene (PP ). Copolymers (chains of molecules of which consist of two or more different structural links). This group includes, for example, acrylonitrile-butadiene-styrene (ABS). 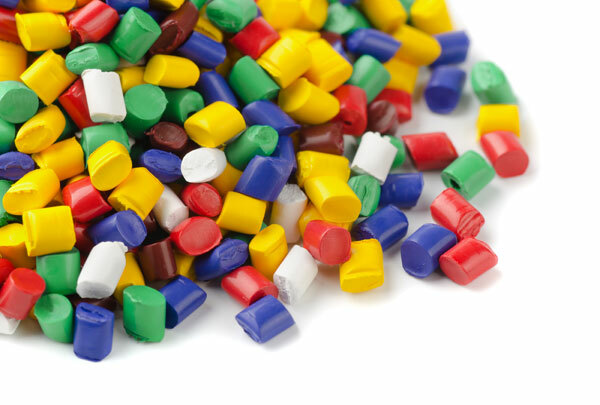 Block copolymers include thermoplastic elastomers whose macromolecules consist of thermoplastic blocks (polystyrene, polyethylene, polypropylene) and flexible elastomer blocks (polybutadiene, polyisoprene, random copolymers of butadiene with styrene (PBS) (SBS) (SBR) or ethylene with propylene ( EPDM)). Simply put, these are various synthetic rubber thermoplastic elastomers (TEPs). You need to be aware of these when choosing your 3D printer filament. Thermoplastics, which are the only polymer used in 3d printers, can be divided into 2 main groups: amorphous and partially crystallized. Amorphous thermoplastics include polystyrene (PS), impact-resistant polystyrene (HIPS) and thermoplastic elastomers (TEP). Amorphous thermoplastics in their unpainted state are transparent, like glass. Acrylonitrile-butadiene-styrene (ABS) has a unique amorphous and partially crystallized structure. Partially crystallizable polymers include polypropylene (PP), polyethylene (PE), polyamides (PA 6, PA 66 – nylon ), polyethylene terephthalate (PET). The most important difference from a 3D printing perspective between these two groups is their shrinkage! Crystallized materials have a high shrinkage and shrinkage anisotropy, suggesting that the products printed from these plastics will crack and crumble most severely. This is especially noticeable in the example of polyamide (nylon) – shrinkage 1.5-2.5%, polypropylene (PP) – shrinkage 1.8-2.5% or polyethylene (PE) – shrinkage 2.0-5.0%! The shrinkage of ABS varies from 0.4 to 2.0% depending on the brand. Polystyrene shrinkage (PS) varies from 0.4 to 0.8%. The shrinkage of styrene-butadiene rubbers and HIPS largely depends on the content of styrene in their composition and the polymerization, shrinkage here is typically 0.3-2% depending on the grade. Finally, we have the most popular 3D printing plastic, PLA (polylactide lactic acid). This strange substance, unlike all the above, is obtained from the polymerization of lactide, which in turn is obtained by polycondensation of lactic acid. Despite being made from the same compound as dairy products, this product has little to do with cottage cheese and cows. And much like yogurt, not all polylactides are equally useful! There are several varieties of PLA with a wide variety of properties and very different physical and mechanical characteristics. Water boils when heated, and when boiling it turns into steam – making a phase transition. This transition is accompanied by a significant expansion. When this transition takes place in a bathhouse or in Kamchatka’s geysers – the first is useful, and the second is beautiful – but when this process begins in the 3D printer extruder, this is bad news. Your printer starts making strange clicking sounds, accompanied by extrusion passes and holes in the perimeters, uneven extrusion, foaming and other non-aesthetic processes delivering many headaches to users. There will be gaps in the extrusion since the air doesn’t expand like the moisture when exposed to the extruders hot tip. So think for yourself, is it worth it to buy cheap plastic then having to dry it yourself in the oven, or are you more interested in just 3d printing? Or maybe you even want to hang a tambourine on the wall and forget about drying and proper storage of filaments? To solve for you, I only indicate opportunities. Which type of thermoplastic is the most hydroscopic? First place for the title of becoming Sponge Bob Squarepants is awarded to PLA (polylactide, PLA)! Depending on the brand, temperature, and humidity, it is able to absorb from 1% to 4% of its own weight as moisture. The second place is confidently occupied by PA-66 (polyamide, it’s also nylon) with a result of 0.4% of its own weight as moisture. The third place is occupied by ABS with an average result of 0.2%. This brief overview of the polymers suitable for 3D printing using FDM can be considered complete. If you are a boring chemist, then this might be very disappointing, but it was not my intention to write a thesis on the topic, but only to acquaint the readers with a general picture written in broad strokes. I hope that you’ve read up to this point, since from here onwards this article will become more cheerful with pictures! And where does the molecular weight of the polymer (MM) come from and how is this all connected with shrinkage during printing? Many of you might have, while wandering through the expanses of the Internet in search of an answer to why life is so plastic, stumbled upon this mysterious three letter acronym: MFI. MFI (Melt Flow Index, measured in grams), is in simple terms, how many grams of polymer, heated to a certain temperature, can flow out under a certain pressure through a hole of a certain size in 10 minutes. Unfortunately knowing the MFI of a plastic is not very helpful as different types of plastic and plastic manufacturers use different pressures, hole sizes and temperatures to perform this measurement. This is especially evident in the MFI of ABS plastic, where 3 different methods can be used to measure the same polymer (You can use a 5 kg weight at 200 ° C, a weight of 3.8 kg at 230 ° C or load 10 kg at 220 ° C.) which will give 3 different results. So much for exact science in the 3D printing industry. However, you, dear 3D printers, need not delve into this too deeply. All this is the headache of rod producers! The only reason I mention this is so that you know when comparing MFI measurements you are comparing apples to apples. Let me simplify, if the MFI is lower it means that the polymer is thicker. And the polymer is thicker, the harder it is to press through a small hole in the nozzle of the 3D printer extruder. Before you say: “Hooray, now I understand everything!” – I warn you not to jump to conclusions! The thing is that indirectly, a low MFI index correlates with a greater molecular weight of the polymer. As I wrote above, it is the molecular mass of a polymer that largely determines its mechanical properties. In particular, strength and impact resistance. And here everything is exactly the opposite – the lower the MFI, the better. As it often happens in life, there are no ideal solutions – there are only compromises. The graph shows the choices of thermoplastic characteristics and indicates the zone of possible compromise between strength and printing speed, shown as the zone where the blue and pink curves intersect. The blue area reflects the relationship between the possible print speed ( Vp ) and the polymer melt flow ( MFI ). The pink area reflects the relationship between the MFI and the molecular weight ( MW) . Since polymers are not Newtonian fluids, fortunately for us their fluidity increases with increasing flow velocity, which partly compensates for the decrease in printing speed with increasing molecular weight, expanding the range of applicability of various polymers for 3D printing. * The graph is given for clarity, exact values should not be looked for here! It would seem that everything depends on this graph, but don’t forget about shrinkage! When you start 3D printing you will soon encounter a problem all of us have faced, the manufacturer of the plastic has requested a ridiculously high printing temperature. Why is this, what is the reason for these rising printing temperatures? The thing is that, as the attentive reader has probably noticed, the MFI is very relative, and this indicator also depends on the melting temperature used. The higher the melting temperature, the higher the fluidity, and the easier it is for the extruder motor to push the molten plastic through the nozzle opening. Before you have another “Hooray, now I have understood everything!” moment, wait one second – because sure you can buy a plastic with a high MM and low MFI and print it at 260 C.
But despite its seemingly high strength, expected due to it’s high MM, your printout will break up into layers! And this will happen because while interlayer adhesion (not to mention adhesion to the printer’s printing table) has its final values, the thermal expansion of amorphous polymers does not cease with increasing temperature until it starts to thermally destruct. For ABS plastics it starts at around 260 C. Namely, thermal destruction in most cases leads to a phenomenon called “clogged nozzle”. Here is a good rule of thumb: The greater the thermal expansion of the plastic, the more it will shrink after cooling. This figure graphically shows the growth of adhesion with increasing temperature ( t ) and the graph of thermal expansion / subsequent shrinkage ( Ms – molding shrinkage). 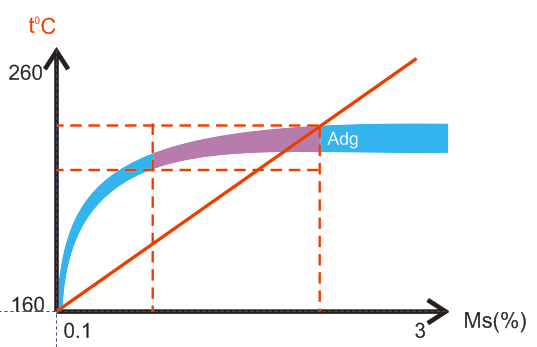 The zone with the best ratio of these two parameters can be considered as a flattening of the adhesion growth curve ( Adg ). * The graph is shown for informational purposes only! In summary, I do not advise that you print at temperatures greater than the minimum needed for good adhesion between layers. With that being said, we conclude part one… But do you seriously think that I have told you everything? Thanks for reading! Stay tuned for part 2, which deals with common 3D printer problems and solutions. Thanks to those who read this text from start to finish! 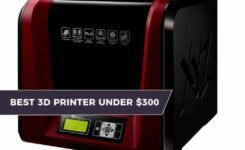 If you would like to read more about buying a 3D printer, then be sure to check out our budget 3D printer review, as well as our mid-range 3D printer review.